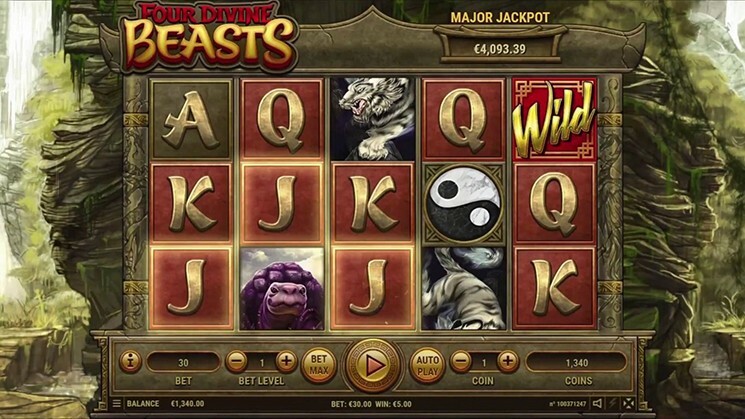 Four Divine Beasts is 5 reel and 243 paylines video slot powered by Habanero software provider. Video slot is visually stunning with ancient world feel. 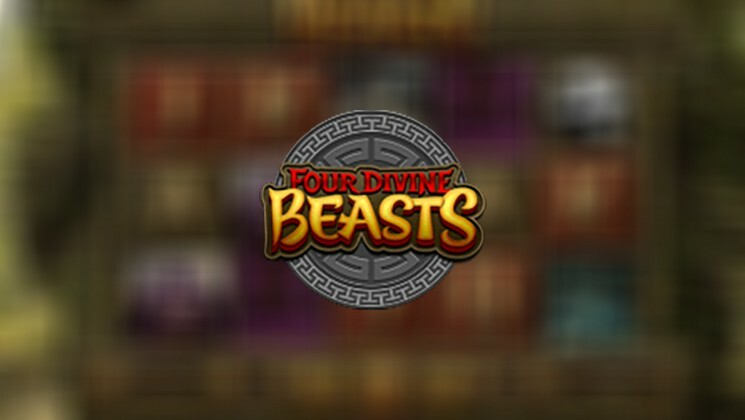 Theme of the Four Divine Beasts slot is heavily inspired by old Chinese folk stories. Main low value symbols are your classic J’s, Q’s, K’s and A’, whereas high value symbols are four beasts that guard the treasure, Azure Dragon, Vermillion Bird, White Tiger and Black Tortoise, who take double cells at the reels. There also additional Bonus and Wild symbols. Before investing real money players can try Four Divine Beasts Slot for free, or visit any Habanero Casino such as: Vegas Crest Casino, Campeon Casino, Loki Casino and others to play with real money and win. Before you go on the adventure, your bet need to be placed. Coin value can be adjusted with “Coin” button, which ranges from 0.01 to 20. With “Bet Level” you can adjust number of coins per line, which goes from 1 to 10. By pressing “Max Bet” you can start your game with already highest bet amount. “Autoplay” is used to set up number of spins that will go without interruption. Big button in middle is a “Spin”. There are 4 of the divine animals feature and their are activated mostly the same. Features are activated when animal symbols covers an entire first reel and 3 or more Scatter symbols appear on other reels. When Azure Dragon appears you will be awarded with 7 spins. Bonsai Tree symbol will appear on the on reels 1, 2 or 3 on each spin, winnings combo will expand Bonsai tree for the bigger wins. Vermillion Bird also awards you with the 7 spins. Flame symbol will appear on reels 2 or 3, which are used as a Wild. White Tiger will award 7 spins and Black Sphere symbol will appear randomly. The Sphere acts as Wild in this feature. Black Tortoise will award 7 spins, Water Sphere symbol can appear once on the 2 and 3 reels. Sphere will expand after winning combos, awarding bigger wins.